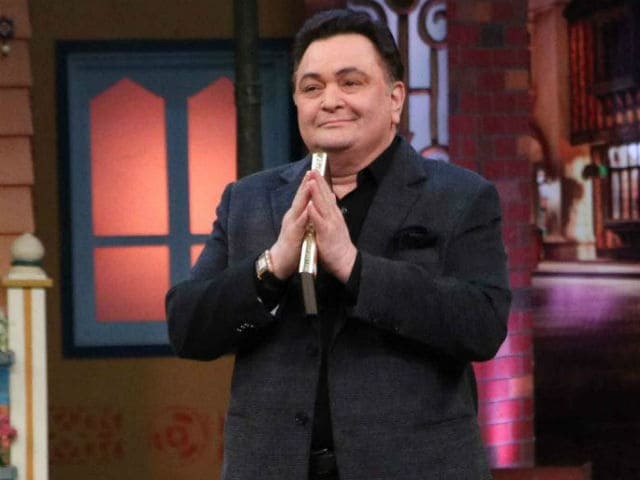 Rishi Kapoor conducts a semi-permanent feud with those he accuses of sending him 'abusive' messages on Twitter but he's happy to engage with dissenters who respond with politeness and respect. A couple of months after tweeting about allowing Pakistani players to participate in the Indian Premier League or IPL tournament, Mr Kapoor posted about Pakistan cricket again yesterday. "Congratulations, Pakistan. You enter finals? Wow! Good to see you wearing our colour blue! Get ready to be blued now! We will blue you away!" the 64-year-old actor tweeted after Pakistan beat England in the Champions Trophy semi-final (India play Bangladesh today but Rishi Kapoor, like many others, are predicting it's going to be an India vs Pakistan final). Of the many responses he received, Rishi Kapoor singled two out for praise. We love to watch Pak Vs India, who will play better will win, we should appreciate if india wins and expecting same from ur side as well. Sorry India.Tried to broker peace via actors,films,sports etc..with Pakistan,but they just want hatred,so be it!Taali do haath se bajti hai! A month before this mutual acrimony, Rishi Kapoor updated his Twitter bio to read: "Don't you dare try trollers and abusers! You will be abused and BLOCKED - your loss if you following me. Don't like me, unfollow me. Signed - Terrorist of the family (sic)." Mr Kapoor, who has himself been accused of being hateful in his tweets and responses, was last seen in 2016 film Kapoor And Sons. His current projects include 102 Not Out with Amitabh Bachchan and Manto, in which he has a small role.